—- Specify GPRs and SSE registers. —- Specify 64-bit operand size. —- Specify extended control registers. 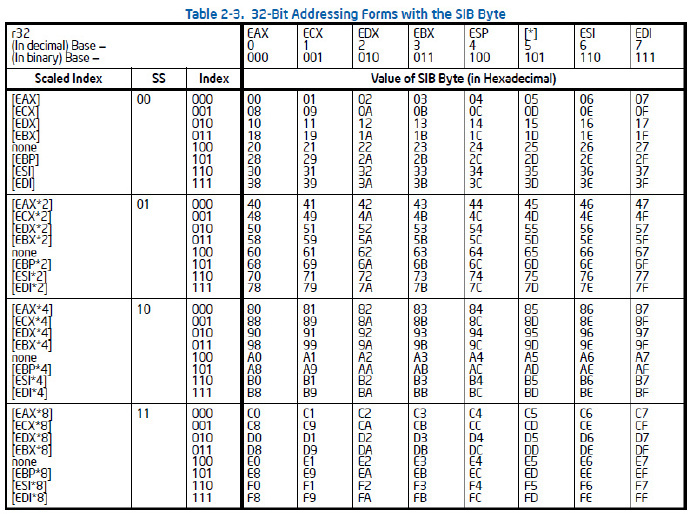 indexing of a two-dimensional array when the elements of the array are 2, 4, or 8 bytes in size. • Displacement — An 8-bit, 16-bit, or 32-bit value. • Base — The value in a 64-bit general-purpose register. • Index — The value in a 64-bit general-purpose register. • Scale factor — A value of 2, 4, or 8 that is multiplied by the index value. 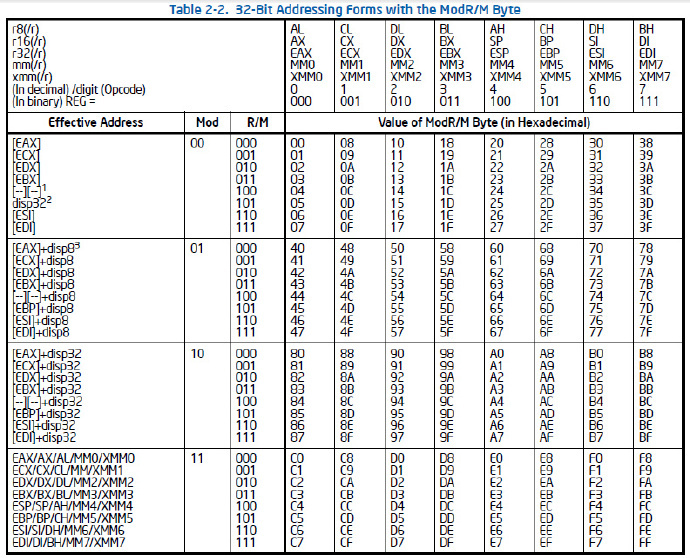 The [--][--] nomenclature means a SIB follows the ModR/M byte.